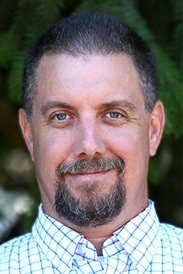 Jim Dudley is Vice President of Timber Resources for Swanson Group, a forest products company. The following is an excerpt of his address to the 2019 Oregon Logging Conference, of which he served as president. We have reprinted Jim’s address with his permission. I feel like I owe everything I have in this world to the timber industry. My grandpa and both my parents worked in the industry. My high school mascot was the Timber Jacks and my college mascot was the Lumber Jacks. From my education to every car or home I have owned, this business has help me pay for everything. My grandfather bought me my first chainsaw when I was in 8th grade. When my dad challenged the wisdom of the purchase he said “the boy has to learn how to work someday”. That saw helped me pay for countless tanks of gas and maybe even a beer or two as I went through high school. My college education was paid for by working in mills and out in the woods. All throughout the mid 80’s I could go home and make enough money each summer to pay for most of the school year. This allowed me play football each fall without having to find part time work until spring semester. I truly feel blessed to have graduated with zero college debt and all because of the jobs and pay this industry provided. After college I landed my first fulltime job with Louisiana Pacific. It was while working for L-P that I met my wife of almost 23 years, Michelle. Sitting with Michelle are our twin 12 year old boys Cody and Jackson. They too are being raised with timber dollars. This business has touched every part of my life. I share this you about myself not because I think I’m unique but because I think we all share similar backgrounds. Most of us come from rural communities where the timber industry is the life blood of the community. Many of us have witnessed firsthand what the failures of the federal government’s timber management policies have done to the communities we love. During the course of my career, I have seen the listing of the Spotted Owl and Marbled Murrelet as well as the signing of the Northwest Forest Plan. In Northern California, where I grew up, these decisions led to the loss of over 80 sawmills and plywood plants between 1992 and 2000. Most of these closures were a deathblow to the community they were located in. The pattern was similar after each mill closure, first the working age-people leave along with their kids, and then the schools drop in enrollment or just close, then the old people leave because there are no services left. It is hard to be 80 years old when the nearest doctor is 100 miles away. It has been a slow painful process that has been hard to watch. What’s left of the industry now is concentrated around areas with large tracts of private timberland and the mills that were surrounded by national forests are all gone. The number of acres we now burn each year in forest fires far exceed the acres logged. There is no doubt that after 25 years the Northwest Forest Plan has been a total and complete failure. It hasn’t recovered the species it was meant to protect and it has crushed our rural economies and communities. In the absence of timber dollars, our schools are falling apart, our roads and bridges are failing, and in many areas we no longer have full time deputies and other public safety coverage. We have all been forced to suffer for the ignorance and misguided good intentions of others. But I truly believe it doesn’t have to be this way. It’s all about education. I seriously doubt that most of the people who backed Clinton’s plan would have wanted this outcome. Watching people literally running for their lives trying to escape flames that burning entire communities can’t help but tug at the heartstrings of even our staunchest critics. If there is anything positive that comes from these tragedies it’s that we are showing the world that a lack of management does have a consequence. Humans have been a part of managing our forests since the beginning of mankind and we can’t just walk away. I have no illusion of turning back time to the good old days but we can do way better than this. Our rural communities and the forests that surround them are worth saving. Rural America is the backbone of this country. We make the products that have housed and fed this nation since it was founded. We are also the communities that have sent our young men and women to fight in every war this country has ever been in. The kids I grew up with had a sense community and a sense of pride and patriotism that just isn’t found in a faceless intercity. It was always us against the world. If you messed with one us you messed with us all. I don’t want to see that lost. The good news is that some of the very politicians that voted to put us all out of work are now starting to backpedal when it comes to active management. As an industry we need to resist pointing the finger and telling them to choke on the smoke. Saying I told you so is not who we are. We have the moral high ground on this issue. We didn’t do anything wrong. I believe we need to embrace our critic’s newfound enlightenment and let them know we are here to help. We all win with more people working in the woods. If we care about our rural communities we have to have a place for our young people to work. Some of our elected officials would have us believe Ecotourism is supposed to save us all. Well tourism is not the answer; it is merely a byproduct of having healthy vibrant communities that people want to come visit. It’s hard to attract tourists to a town when all the restaurants, gas stations, and motels are boarded up. We have a great story to tell and it is my hope that instead of vilifying us, people will begin to see us as the good guys that we are. We turn air pollution into shelter by growing trees and cutting lumber. What’s more green then that? Our forest do not have to be protected from loggers, they need to be logged to be protected. The wise and sustainable use of our natural resources is what made this the most powerful nation in the world. As loggers, mill owners, and timberland managers we must all stick together and present a united front. We cannot allow politicians and special interest groups to divide and conquer us (cap and trade). If we allow the government to pick the winners, we all lose. Instead, we need to leverage all the positive things we do for the environment and continue to grow, to innovate, and to educate. AOL has begun an ambitious web based program called Planning the 2020 Workforce. They are highlighting the issues facing all of us today and bringing decision makers together to plan a path forward for our industry. As part of the logging conference’s effort to be part of the solution to these issues we will host our 2nd annual future forestry workers career day. Tomorrow we will have almost 800 high school students taking part in this program. With it, we hope to re-introduce ourselves, and more importantly, our industry to kids all over the state. It is our hope that a few of them discover a passion for working in our industry. I would encourage each and every one of you to invest some of your time reaching out to the young people in your communities and share your passion for the business. For to many years we have just put our heads down and tried to work harder hoping that people would eventually do the right thing and the pendulum would swing back our way. The problem is too many people have lost track where there stuff comes from. They think hamburgers comes from MacDonald’s and 2×4’s come from Home Depot. They have completely lost touch with the outdoors and how things are made. They don’t hunt and fish or grow their own vegetables and don’t know how to react when they see the soup get made. These people are not evil; they just don’t understand how natural world works. This is what causes the misguided good intentions. We all need to do our part to connect people to the woods. When you put one of the uninformed on a mountain top and all they can see is trees for miles, you change their opinion of us forever. The fact is we all do really great things for this state and this country and for the world. We were green before green was cool. It’s been my experience that people who take the time to get to know us and what we do can’t help but fall in love and that’s why we need to keep telling our story. Thank you.